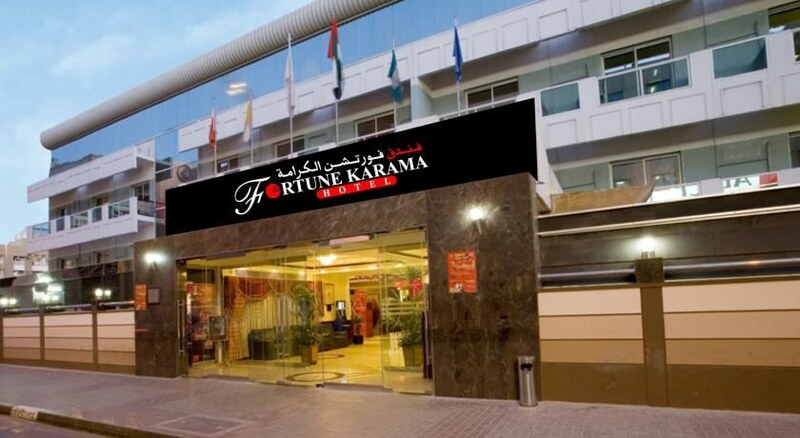 Located in the central hub of Dubai, Fortune Karama Hotel features swanky rooms and extremely hospitable staff to make sure your stay is Dubai is comfortable, pleasant and memorable. 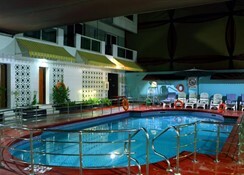 The hotel is close to many popular attractions and major points of transit like metro stations and the airport. The hotel’s proximity to shopping areas, bars, restaurants and leisure opportunities lets you to explore the city and its nightlife in its most eccentric form. With a host of dine and drink options, the hotel lives up to being one of the best where you can unwind and feel the vibes of Arabian hospitality and splendour. 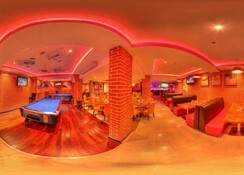 The hotel is located Bur Dubai and is 10km from the Dubai International Airport. The Karama metro station, also known as the ADCB metro station, is 300m from the hotel. The largest shopping mall in the world, the Dubai Mall is 10km from the hotel, while the Dubai Gold Souk is 8km. Bringing to you an assortment of warm, welcoming and comfortable rooms, the hotel offers its guests a three room types to choose from – Standard rooms, Deluxe rooms and Executive rooms. 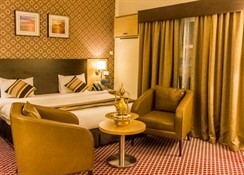 Room facilities include satellite TV, coffee & tea making facilities, mini-bar, in-room safe and much more. The hotel provides a range of dining options with a multi-cuisine family restaurant, sports lounge, a café and a bar and nightclub. 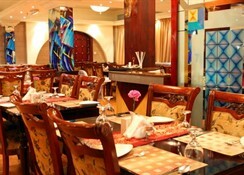 Utsav restaurant offers a range of Indian delicacies along with continental cuisine. 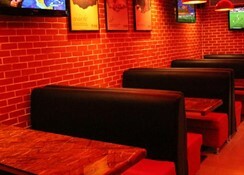 Freddy`s Resto & Café welcomes you to sample the best beers, alcoholic beverages and house wines with a delectable range of international cuisine. For guests who prefer the quiet, the Karama café is a haven for tea, coffee and healthy supplements in a relaxing ambience. The hotel features a fully equipped gym to help guests shed those holiday extra calories. For a refreshing experience visit any of the six spa rooms that the hotel offers, along with massages and steam baths. 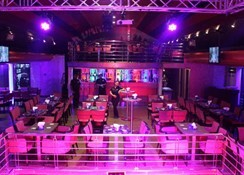 Tantra nightclub hosts live music sessions followed by DJ nights.